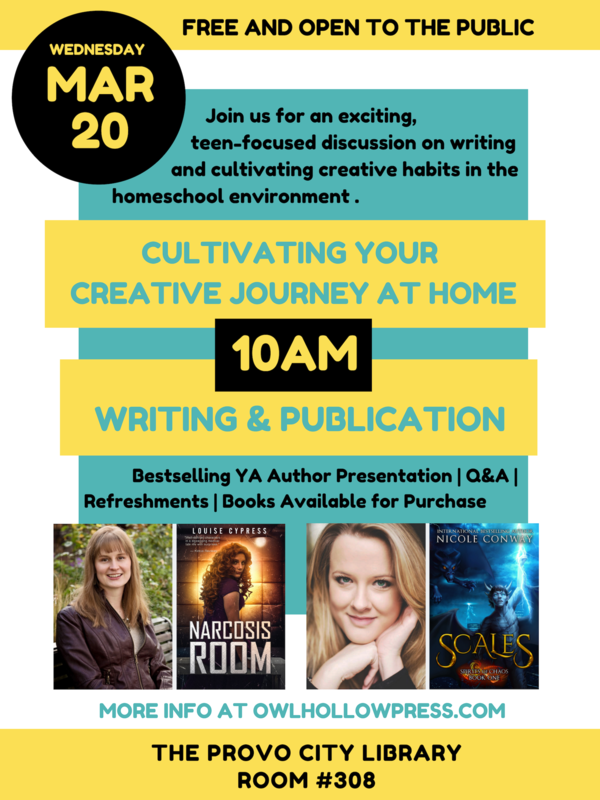 Join us for an exciting, teen-focused discussion on writing in the homeschool environment, cultivating creative habits, and following a path to publication. With a presentation by bestselling authors Nicole Conway and Louise Cypress, a Q&A discussion, and light refreshments, it’s an event the whole family will enjoy! This event is free and open to the public. Books will be available for purchase. Nicole Conway is an international bestselling Fantasy author, with multiple series on Audible, and a legion of rabid fans obsessed with her dragon novels. She was also homeschooled as a child and attributes homeschooling to much of her creativity and success. She’s a graduate from Auburn University, a military wife, and a mother who believes in the power of escaping into imaginary worlds with a good book. SCALES, her newest release, is a #1 bestseller on Amazon. Louise Cypress (aka Jennifer Bardsley) is a former K-4 teacher turned children’s learning advocate who’s found new ways to teach her daughter with dyslexia, supplementing public school programs with one-on-one reading instruction, beginning in the home. Jennifer also writes the column “I Brake for Moms” for the Sunday edition of The Everett Daily Herald and blogs at Teaching My Baby to Read. Jennifer is the author of several best-selling YA novels, a graduate of Stanford University, and a member of Society of Children’s Book Writers and Illustrators.